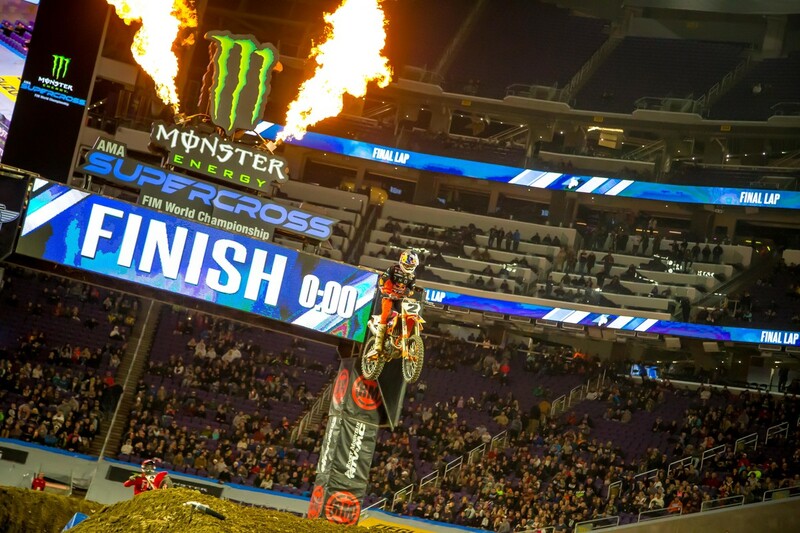 Round six of the 2019 Monster Energy Supercross, an FIM World Championship series, and round one of the Eastern Regional 250SX Championship and the Minneapolis SX continued to deliver some of the best racing we have seen in years. 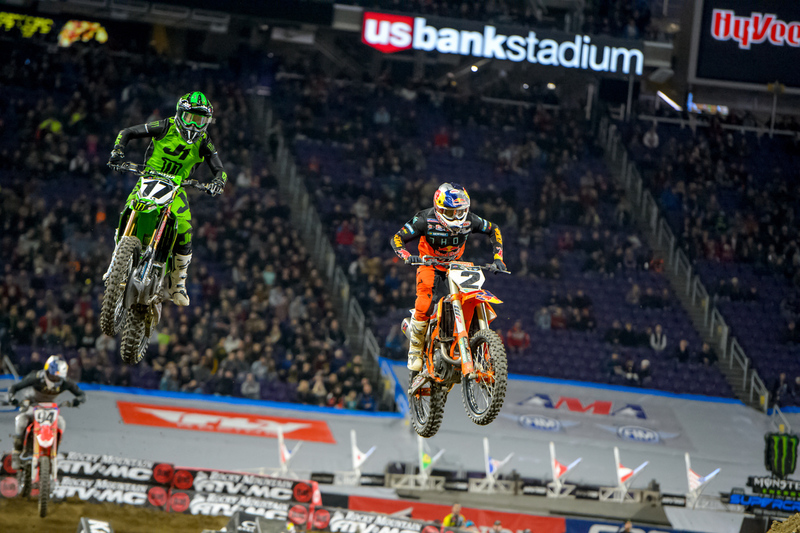 In the 450SX class, Cooper Webb once again rode like the last two years are permanently erased from his memory bank, as he patiently made his way to the lead on lap fifteen and rode away from the field for his third win of 2019. 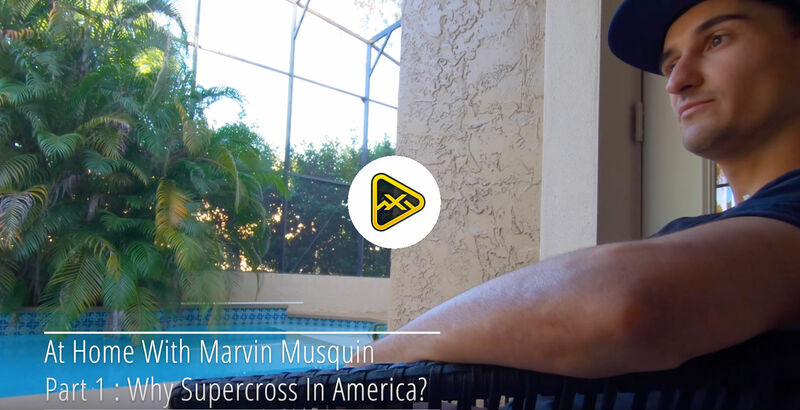 Finishing on the box with Cooper was HRC / Honda’s Ken Roczen in 2nd and Red Bull / KTM’s Marvin Musquin with his fourth consecutive podium in 3rd. 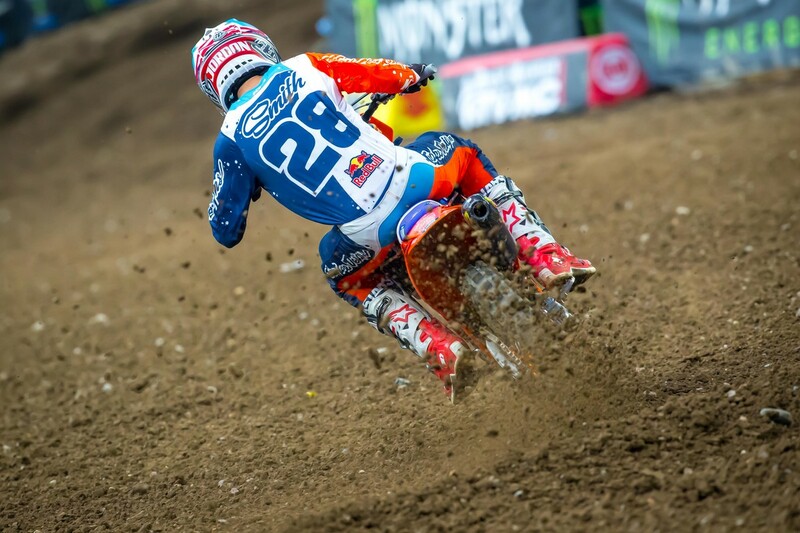 Leaving Minneapolis Roczen once again has the red plate with Webb, Musquin and Monster Energy / Kawasaki’s Eli Tomac all within just two points of one another. 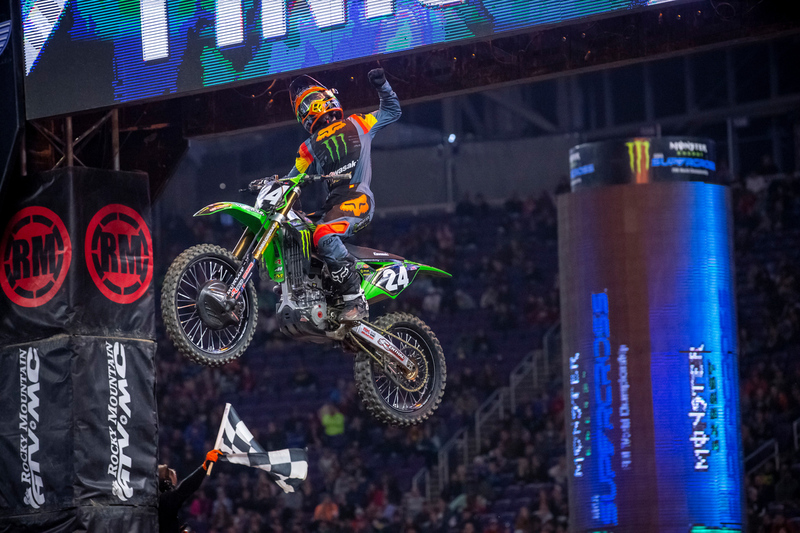 In the 250SX class, Monster Energy / Pro Circuit / Kawasaki’s Austin Forkner scored the first Eastern Regional 250SX main event win of 2019 by dominating every aspect of the Minneapolis SX. The #24 qualified first, led every of his heat and every lap of the main event. Picking up the other two spots on the opening round podium was Troy Lee Designs / KTM’s Jordon Smith in 2nd and Monster Energy / Star Racing / Yamaha’s Justin Cooper in 3rd. After the sixth round was in the books, we gathered quotes from the riders to find out how their 2019 Minneapolis SX went for them. 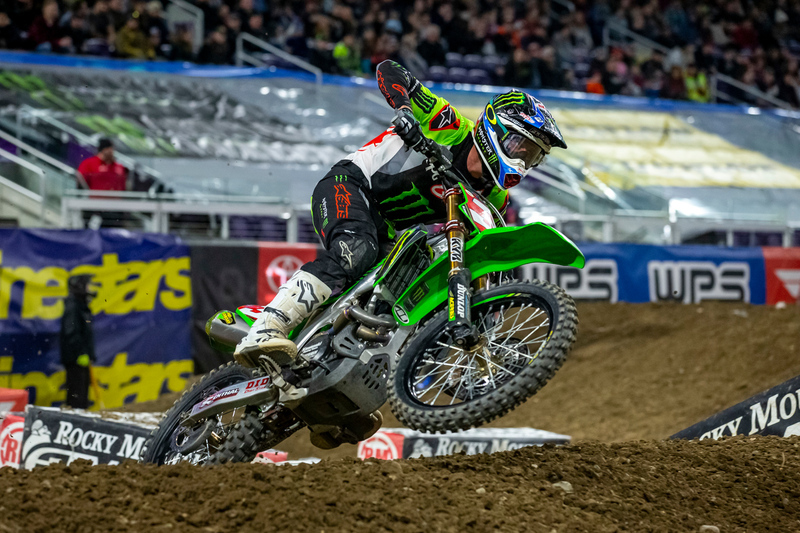 Joey Savatgy: (4th in 450) “Man today was just awesome. Of course I would have liked to win the main event, but we learned so much. You have to start somewhere with getting the experience of leading laps and tonight we accomplished that. My KX450 was a rocket ship all day long and helped me get the day started properly as we qualified first and then got third in the heat race. In the main event, I got a great jump out the gate and was able to make a quick pass into first. I need to clean up a few mistakes but tonight was a big step in the right direction.